Discussion in 'Jailbreaks and iOS Hacks' started by nanolife, Mar 21, 2013. Hello, I tried to contact the intelliborn team a couple of times through twitter and their website but never got a reply so I decided to ask you guys here. 1. Is that Message+ issue of not sending iMessages through the QuickSend fixed? I heard some people were unable to send iMessages, only regular text messages through this option. 2. If I won't use the news feeds, mail, twitter and facebook tabs, willthe battery drain reduce substantially? 3. Will I still be about to use some Lockscreen themes like LS Chr0nos, for example and still pull the NC with the intelliscreenx on it? 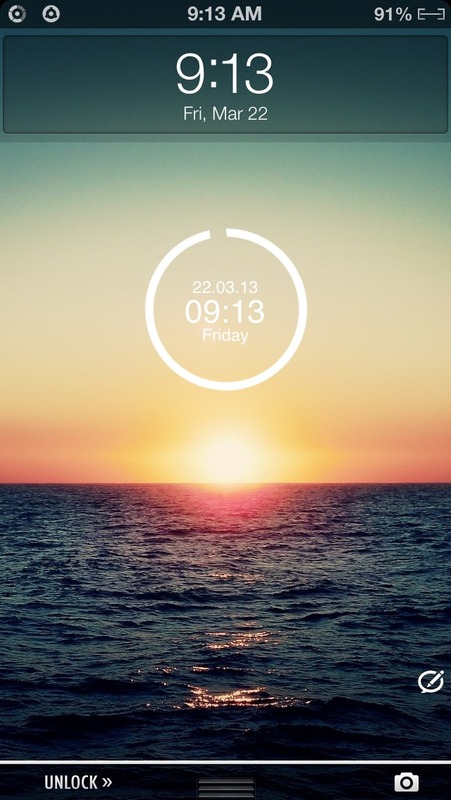 Even so, will the notifications work if using a lockscreen theme like that + IntelliscreenX? I hope someone with a bit of experience in IntelliscreenX can help and if anyone else would like to share experiences about LockInfo 5 X IntelliscreenX 6, I would appreciate. I have been reading so many topics about how buggy LI 5 is lately. 1) I cant answer this, i use biteSMS - ill take a look when i have time. 2) If you have refresh rate really low (less time) then yea it will drain battery faster. 3) Check out my post on the Post You Jailbroken Homescreen thread. I have a few tweaks installed to allow me to use ISX as a pull down NC on the lockscreen while using RoxBox Lockscreen. This is the post. So only by installing IntelliscreenX 6 and not using the feeds, mail, etc.. it won't drain my battery enough for me to notice, right? I mean, since it will be using only for notifications and message+, right? So there's not a native option from IntelliscreenX to keep it hidden even on lock screen I must install Bulletin for that? You can have all them active, just leave the standard refresh rate or make it higher (more time). No, you can turn on "Show on Lockscreen" but then you cant swipe down and show it, bulletin will over ride this and you can give it a blurry background look so it doesnt look weird. I've been wondering about the iMessage bug myself. I didn't know it was a common issue. I have a similar setup with the jellybean lock. I also have intelliscreenx and bulletin but when I show my notification center on lockscreen its cut off at the bottom were the slide to unlock use to be. Any idea on how to make the I can have my notification center go all the way to the bottom. Messages+ has been working flawlessly with iMessage since the jailbreak for iOS 6 has been released. My only issue with the tweak is that whenever i get a message on the lockscreen, my passcode doesn't block it from quickreplying. this is sort of a privacy issue(as i turned off my previews already). i just want the quickreply option to work like the slide to reply on lockscreen but with the passcode intact, so that no one can access my messages without having to put in the passcode. I didn't have to install Bulletin. Just intelliscreenx and it is hidden on my lockscreen and I can pull it down whenever I want above my lockscreen clock and slider. maybe I still didn't get the idea of using Bulletin. Mine does the same, that will be bcasue ISX is MADE for the lockscreen and it still thinks its there. Only thing you could do is install subtle lock to shorten the bar. Well, that makes sense. I have Show On Lockscreen turned off because then it defaults to that, which I dont want. I want to be able to pull it down when I want it. Plus i need blurry BG cause it looks silly if its transparent. Mine Show on Lockscren is ON. Even that, it is hidden all the time.